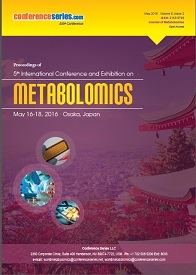 Conference Series LLC Ltd invites all the participants across the globe to attend 14th International Conference on Metabolomics and Proteomics Osaka, Japan. Jeffrey Zheng has completed his ME and PhD degrees from the University of Science and Technology of China in 1981 and Monash University in 1994, respectively. He has worked as a Professor at the School of Software, Yunnan University, China, since 2004. 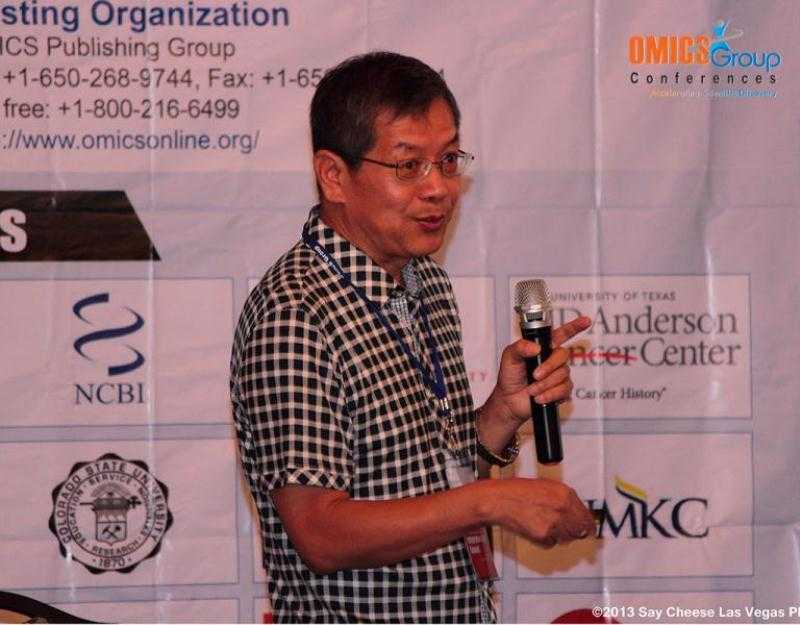 He is an IEEE Member and a Member of the Education and Popular Science Committee in Chinese Cryptographic Society. His research focuses on variant construction from logic foundation, measurements and visual distributions to key applications. He has also received numerous awards, including Scientific Creative Excellent (2007 and 2012) from the All-China Federation of Returned Overseas Chinese; 2012 Higher Levels of Overseas Scholar project in Yunnan by Yunnan Scientific Ministry and 2013 Excellent Overseas Teacher from Yunnan Education Ministry. 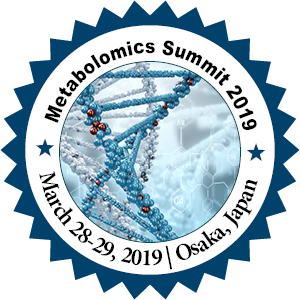 From a suffix -omics viewpoint, there are hierarchical relationships among genomics, proteomics and metabolomics. Typically 40 million bacterial cells are in a gram of soil and a million bacterial cells in a milli litre of fresh water. There are approximately 5×1030 bacteria on Earth, forming a biomass which exceeds that of all plants and animals. The DNA of most bacteria is contained in a single circular molecule called the bacterial chromosome. The chromosome, along with several proteins and RNA molecules, forms an irregularly shaped structure called the nucleoid. This sits in the cytoplasm of the bacterial cell. 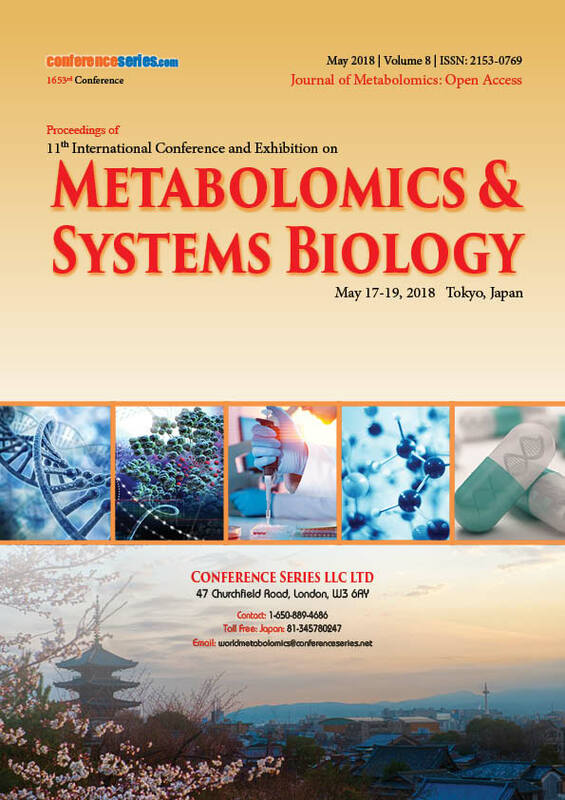 In this keynote, multiple species of soil bacteria are selected to measure their DNA sequences using variant construction to form variant maps to generate various statistical probability distributions under a list of controllable parameters. Under this mechanism, it is possible to generate multiple feature distributions from Fock, sub-Poissonian to Poissonian, normal distributions using multiple random resources: Quantum random sequences, DNA sequences, cryptographic sequences, ECG signal sequences,etc. under controllable phase spaces in clusters. 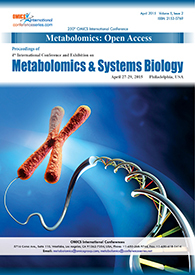 This powerful visual and control mechanism are useful to make proper simulation and computation tools and packages in advanced metabolomics applications. Anthocyanin (red dye) from Iraqi red beet juice which is extracted mechanically (squeeze process) is a highly water soluble due to many hydroxide groups and sometime has glucose molecule which is carried on the anthocyanin molecule (position 3), the combustion energy of the carried glucose is the same of the free glucose but it doesn’t influence on sugar blood. This juice is slightly sweet due to the present free sugar and carried glucose. The juice is slightly acidic due to the exchangeable proton (Hydrogen ion) it is called (trans-membrane proton) with a radius = 1.5×10-15m. The concentration of proton is determined by measuring its pH was [H+] = [proton] = 10-5.7, pH = pP=5.7 upon juice dilution (5%) the pP = 5.2. In spite of lower concentration of the exchangeable proton in the juice, but it is very active to attack metal ions as soon as contact with it, as well as hetero atoms (likes O, N, S) in organic molecule such process called protonation (exothermic process), this process pulls the abnormal high energy molecules (cancer cell) downhill and stabilize it. Proton is condensed in aqueous solution called hydrated proton P (H2O) which moves to the whole human body and when becomes near high energy molecule or molecule with hetero atom leaving the water and attacks that molecule as same as the aircraft carrier when becomes to the target, the aircraft leaves the carrier and attacks the target (save energy). Results show from heating solid residue (obtained from evaporation the juice at 110 ºC or from boiling the juice at 104 ºC, there is a loss in weight due to the liberation from water and from that calculation shows that concentration of anthocyanin in the juice is 79% and anthocyanin molecule becomes dimer. Dimerization reduces the ability of the exchangeable proton and for this reason the juice prefers to extract mechanically and no addition of any material to it. Davies, Kevin M. (2004). Plant pigments and their manipulation. Wiley-Blackwell. p. 6. ISBN 1-4051-1737-0. Butelli, Eugenio; Titta, Lucilla; Giorgio, Marco; et al. (November 2008). "Enrichment of tomato fruit with health-promoting anthocyanins by expression of select transcription factors". Nature Biotechnology. 26 (11): 1301–8. Jaleel Kareem Ahmed (2015) Special issue published by international journal of material science and application (USA) as a Lead Guest Editor issue 2. Henry M. Sobell completed his studies at Brooklyn Technical High School (1948-1952), Columbia College (1952-1956), and the University of Virginia School of Medicine (1956-1960). Instead of practicing clinical medicine, he then went to the Massachusetts Institute of Technology (MIT) to join Professor Alexander Rich in the Department of Biology (1960-1965), where, as a Helen Hay Whitney Postdoctoral Fellow, he learned the technique of single crystal X-ray analysis. 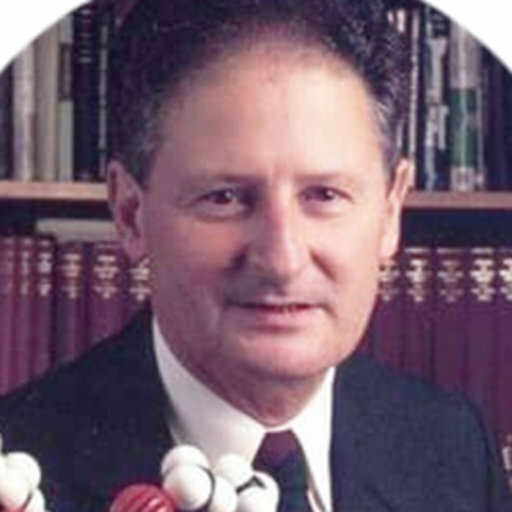 He then joined the Chemistry Department at the University of Rochester, having been subsequently jointly appointed to both the Chemistry and Molecular Biophysics departments (the latter at the University of Rochester School of Medicine and Dentistry), becoming a full tenured Professor in both departments (1965-1993). He is now retired and living in the Adirondacks in New York, USA. – and contains an alternating sugar-puckering pattern along the polymer-backbone combined with the partial-unstacking (in its lower energy-forms) of every other base-pair. Beta-DNA is connected to either B- or to A- DNA on either side by boundaries possessing a gradation of nonlinear structural-change, these being called the kink and the antikink regions. The presence of premeltons in DNA leads to a unifying theory to understand much of DNA physical-chemistry and molecular-biology. In particular, premeltons are predicted to define the 5’ and 3’ ends of genes in naked-DNA and DNA in active-chromatin, this having important implications for understanding physical aspects of the initiation, elongation and termination of RNA-synthesis during transcription. For these and other reasons, the model will be of broader interest to the general audience working in these areas. The model explains a wide variety of data, and carries within it a number of experimental predictions – all readily testable – as will be described . Sobell HM (2016) Premeltons in DNA. 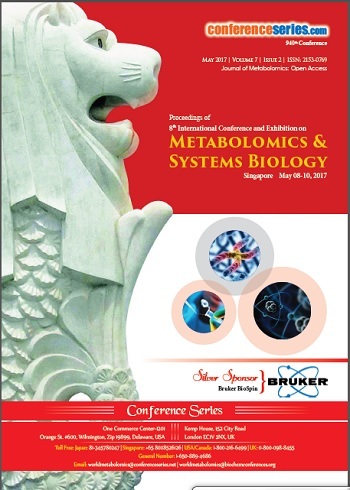 Journal of Structural and Functional Genomics 17: 17-31. Sobell HM (2009) Premeltons in DNA. A unifying polymer-physics concept to understand DNA physical-chemistry and molecular-biology. Explanatory publications, Lake Luzerne, NY, ISBN 978-0-615-33828-6. Sobell HM (2013) Organization of DNA in Chromatin. Rather than bending uniformly along its length, nucleosomal DNA is proposed to consist of multiple segments of B- and A- DNA held together by kinks when forming its left-handed toroidal superhelical structure. Explanatory publications, Lake Luzerne, NY, ISBN 978-0-692-01974-0.